The TR-6060 is the latest and greatest in TREMEC’s high-performance O.E. transmission family; designed to help O.E.M. customers more effectively make use of their extreme power and torque offerings. A nearly complete departure from the original T56 it was designed to replace, the TR-6060 represents a vast improvement over the T56 in nearly every conceivable way. 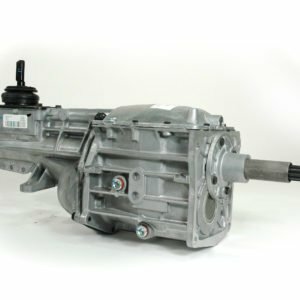 Featuring all new compact synchronisers, TREMEC engineers created additional space to stuff substantially wider gears, thus increasing torque capacity while at the same time creating shorter throws and a better shift feel! While the packaging itself appears virtually unchanged; not a single component, from the forks to the split washers to the main case itself, went without an improvement.